Landlords in the private rented sector will no longer be able to evict tenants at short notice and without good reason under new Government plans, effectively creating open ended tenancies. In what is being described as the biggest change to the lettings sector for a generation Section 21 evictions, often known as no fault’ evictions will be abolished under plans put out to consultation. The consultation has been welcomed by tenant organisations but criticised by bodies representing landlords. It will mean that landlords will no longer be able to evict tenants in a short space of time after a fixed term rental contract has ended. Secretary of State for Housing James Brokenshire said that it will effectively create open-ended tenancies, bringing greater peace of mind to millions of families who live in rented accommodation. It is well documented that tenants can face the worry of being evicted at short notice or continue to live in poor accommodation for fear they will be asked to leave if they complain about problems with their home. 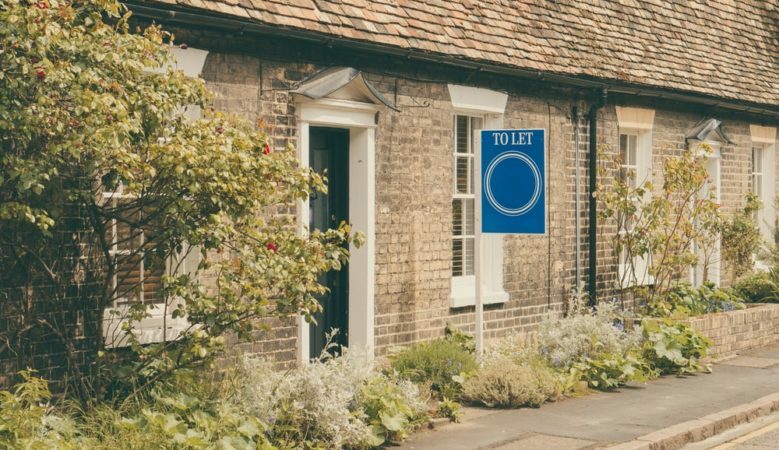 Ministers say that with the private rented sector continuing to grow, with more than four million people now living in privately rented accommodation, the housing market has not kept pace with the changes in society and leaves many tenants feeling insecure. ‘Everyone renting in the private sector has the right to feel secure in their home, settled in their community and able to plan for the future with confidence. But millions of responsible tenants could still be uprooted by their landlord with little notice, and often little justification,’ said Prime Minister Theresa May. ‘This is wrong and we’re acting by preventing these unfair evictions. Landlords will still be able to end tenancies where they have legitimate reasons to do so, but they will no longer be able to unexpectedly evict families with only eight weeks’ notice. This important step will not only protect tenants from unethical behaviour, but also give them the long term certainty and the peace of mind they deserve,’ she added. Brokenshire pointed out that the rights for tenants will be balanced by ensuring responsible landlords can get their property back where they have proper reason to do so. ‘We are making the biggest change to the private rental sector in a generation. We are creating homes, opportunities and thriving communities, where people can come together and put down roots, bound by a strong sense of belonging,’ he explained. ‘Everyone has a right to the opportunities they need to build a better life. For many, this means having the security and stability to make a place truly feel like home without the fear of being evicted at a moments’ notice. We are building a fairer housing market that truly works for everyone,’ he added. But the National Landlords Association criticised the proposals. Its chief executive Richard Lambert said landlords have little choice but to use Section 21 as they have ‘no confidence’ in the courts to deal with possession claims quickly and surely. ‘The onus is on the government to get this right. If the Government introduces yet another piece of badly thought-out legislation, we guarantee there will be chaos,’ he pointed out. He explained that it is entirely dependent on the government’s ability to re-balance the system through court process so that it works for landlords and tenants alike, adding that a Section 8 possession notice means the renter has broken the terms of their tenancy, for example by not paying rent, and sometimes involves landlords spending money taking action in court if the tenants refuse to leave. David Cox, chief executive of the Association of Residential Letting Agents (ARLA) said that the move could be ‘devastating’ for the private rented sector. ‘Although in the majority of cases there is no need for Section 21 to be used, there are times when a landlord has no choice but to take action and evict tenants from a property,’ he explained. ‘Until we have greater clarity on the changes planned for Section 8, the news will only increase pressure on the sector and discourage new landlords from investing in buy to let properties. This comes at a time when demand is dramatically outpacing supply and rent costs are rising,’ he pointed out. He added that ARLA will be engaging with the Government to ensure they fully understand the consequences of any changes, and all changes are based on evidence, so landlords have the ability to regain their properties if needed. Joanne Young, legal director in Ashfords’ property litigation team, has concerns. ‘No one can argue that there are some very poor practices by some private landlords. But this ignores the excellent private landlords who are providing great quality housing for tenants,’ she said. ‘Those landlords, landlords I see on a day to day basis, do not use section 21 without good reason; it is used simply because it provides a means of obtaining possession that does not result in long court proceedings, proceedings that can have a significant financial impact on those landlords,’ she explained. ‘Unless there are real improvements in the Court process, I fear these proposals may be the final straw for many private landlords. I share the concerns that, in the long term, this may simply drive many landlords out of the market. I also suspect that the rogue element of landlords will continue as they do at present, with little regard to the law,’ she added. But Amina Gichinga of the London Renters Union, which has been campaigning for the end of no-fault evictions, described Section 21 as ‘a pernicious’ piece of legislation. ‘The law allows landlords to evict their tenants at a moment’s notice, leaving misery and homelessness in its wake. This fear of eviction discourages renters from complaining about disrepair and poor conditions,’ Gichinga added. The end of no-fault evictions is to be welcomed but there are far deeper renting woes in the lettings market, according to Professor Peter Taylor-Gooby from the School of Social Policy, Sociology and Social Research at the University of Kent, who has studied the policies of successive governments over a 40 year period. ‘It’s good news that the Government is planning to ban no-fault evictions. At the same time evictions for a reason, currently a minimum of eight weeks, will be speeded up. More needs to be done to give tenants of private landlords greater security,’ he said. ‘Some 90% of low income tenants are living in squalid housing or are pushed into poverty by rents they cannot afford. Official survey figures show that of the 1.4 million low income renters in the UK, about 10% live in overcrowded properties, 30% in housing that does not meet basic standards of decency and 85% are forced into poverty once the rent is paid,’ he pointed out. ‘The only real solution is to build more housing for rent at a cost people can afford and that provides proper security for families. This has to involve substantial subsidy, which must come from the government and a social landlord who is not driven by profit,’ he added. Sian Berry, chair of the London Assembly Housing Committee, also welcomed the consultation. ‘This is great news for tenants who are in constant fear of losing their home at the end of a contract, and the London Assembly has long been calling for the abolition of section 21. Everyone deserves the peace of mind that if they look after the property they are living in, there should be no worry about whether they can carry on living there or not,’ she said. ‘Moving at short notice is one of the most stressful situations a renter can find themselves in, especially in a city like London where rents are high, and property is scarce. In our upcoming report on temporary accommodation, we will be looking at the many challenges faced by tenants who don’t have a settled home,’ she pointed out. ‘This decision by the Government protects renters from unscrupulous landlords who dish out arbitrary or revenge evictions. The removal of section 21 will go a long way to provide security for tenants across London and beyond. However, the Government must be mindful that the announcement risks pre-emptive notices being served which, as we have seen during our investigation for our upcoming report, risks council services for people made homeless being overwhelmed,’ she added. But Melanie Leech, chief executive of the British Property Federation, thinks it is a step that goes too far. ‘The Build to Rent sector has been at the forefront of offering longer tenancies. The principle of people feeling stable in their own homes is an important one and retaining residents is fundamental to the sector’s success. The Government’s proposal, however, is a radical step that will need a lot of careful thought, and support when it is implemented,’ she said. ‘The detail in the grounds for possession will be important to get right, and whilst we recognise the need to prevent unfair evictions, professional landlords must not be prevented from ensuring that rent is paid, repairs can be made and anti-social behaviour is challenged,’ she explained. ‘It is crucial not to destabilise investment in the Build to Rent sector, to ensure new rental homes remain high quality and communities are well managed, and that the sector continues to help meet housing need. The student accommodation sector will also require exceptions to ensure final year students vacate properties for incoming first year students,’ she added.